Few young women can say that they’ve been an eye witness to the fighting on the front lines of ISIS, but Rebecca can! She has had an adventurous life from growing up as a missionaries’ kid (MK) in Turkey, to traveling all over the world obeying God’s call. We’re glad God gave her a “pit stop” at CCS for two years! Rebecca’s journey to Cornerstone had many twists and turns! Initially, she began homeschooling in Turkey where her parents were missionaries. After they returned to the states, she spent her middle and early high school days at The King’s School in Bolton. Once King’s closed their doors, Rebecca’s family decided to send her to CCS for her last two weeks of high school. Begrudgingly, Rebecca started and eventually found a home at CCS. After the adjustment of her junior year, Rebecca said she was excited to begin her senior year. There was a different feel for her. Their small class was more bonded together and it felt like a family. Part of the reason was because they had the opportunity to regularly join together in prayer. Rebecca said she thrived in her leadership classes where she felt empowered to become a young leader both inside and outside of school. Staff members like Tammy Gerhard and Beth Russell were instrumental in coming alongside her. After graduation, Rebecca decided to attend a ministry school in Tyler, Texas, called Teen Mania Ministries. She attended a program called the Honor Academy, which utilized a holistic approach to learning and being involved in ministry. Specifically, she was in the school of worship where the focus was on fasting, prayer, missions and practical ministry experience. At the end of her second year, she had an opportunity to tour with the band, Acquire the Fire. Rebecca took the next two weeks to seek God’s direction, and felt like He was calling her in a new direction. She did not join the band, but instead enrolled in a program called “The World Race” through Adventures in Missions. 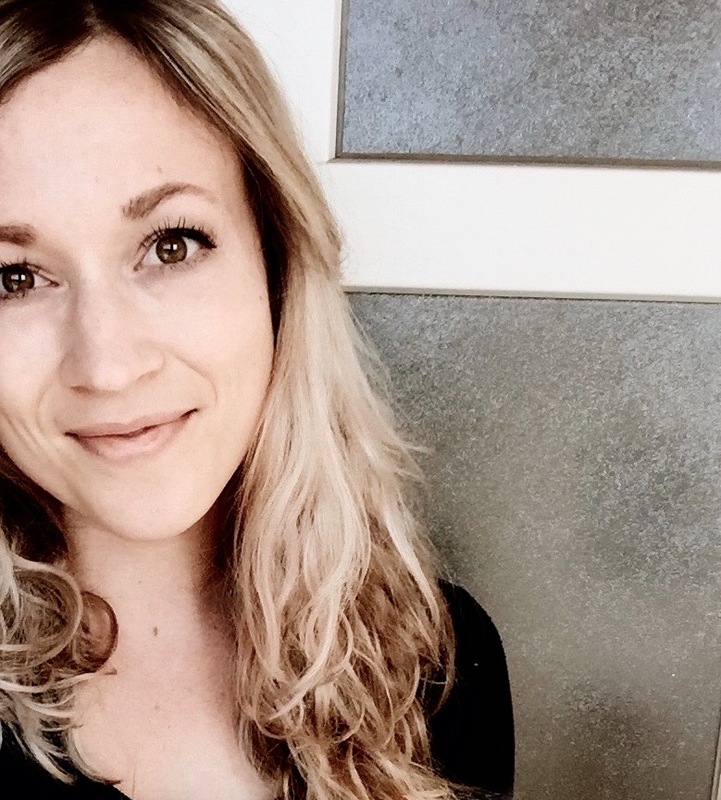 She backpacked through 11 countries in 11 months with a team of 45-50 people where they learned practical ministry skills and then put them into practice to people in those countries. This experience gave her a heart for long-term missions. She returned home to Connecticut where God had her in a “hidden season”. She sought Him for direction and learned to trust Him in the waiting. After two years, in 2014, Rebecca ended up in Harrisburg, Pennsylvania working for another ministry. While she was there, God connected her with others who were drawn to the Middle East. In January 2015, she was part of a scouting team that went to Iraq. They wanted to minister to the Yazidi people groups who had displaced by ISIS. For her first trip to Iraq, she spent two weeks connecting to the people who had been traumatized. She and her team listened to stories, prayed, encouraged, and cried with the people who had been displaced and were living in tents. She returned a month later and for the next year traveled in and out of Iraq. During that time, she raised support and rallied churches to become involved in the work. She was even approached by a Kurdish general who was fighting ISIS, and he asked her and her team to come pray near the front lines. Even though the general was a Muslim, he wanted an end to the genocide that was happening and recognized the power of prayer. Rebecca loved her work in Iraq so she stayed there for three years. Her vision was to have an emphasis of prayer and see God bring about societal change for the people of Iraq. Practically, she helped with a monthly distribution of food, facilitated women’s trauma clinics and lead in children’s worship. She basically “did life” with the people to whom she ministered. If you know an alumnus of CCS who would be willing to share their story, please contact Dawn Snellenberger at dsnellenberger@contactccs.org. Dawn Snellenberger interviewed Class of 2011 alumna Kristie Lojzim. 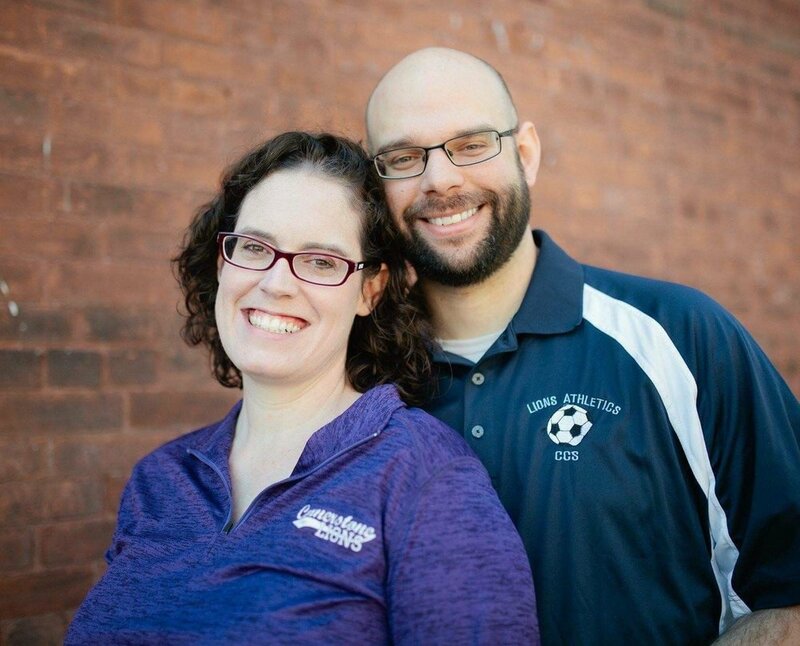 Kristie currently resides in Billerica, MA, with her husband and fellow alumnus, Josh. She works in special education for Newton Public Schools. Not many can say they have a direct connection to the beginning days of CCS, but Kristie can! Her grandparents, Neale and Gladie McLain, were instrumental in establishing Cornerstone in the early 1980s. Her grandfather, Neale, was pastoring the Manchester Church of the Nazarene at the time when he and his wife simultaneously felt God’s nudge to start the school. With much prayer and hard work, the doors of CCS opened in 1981! With a rich heritage and commitment to Christian education, Kristie’s parents moved from Moodus to Manchester in 1997 so Kristie and her brother, Ian, could begin school. In those days, CCS did not have a preschool program, so Kristie attended half-days for the first year and spent full days in Kindergarten the following year. She says she is “forever grateful” to her parents for making the move! For Kristie it is hard to pinpoint the most valuable thing about her experience at CCS, because it all seems equally precious. She appreciated the excellent education she received, but she believes her greatest treasures came from the extended family she found in teachers, mentors, and peers who walked alongside her. She recalls seeing examples of faithful people with God’s power at work in their lives, and this allowed her to experience God in a real, tangible way. By the time she was eighteen, she had heard and seen such evidence through the many examples of people who shone with God’s light! What a beautiful testimony! After graduating high school in 2011, Kristie attended Eastern Nazarene College and majored in Early Childhood Education. She felt prepared for the academic, emotional and spiritual rigors of college. Academically, Kristie found that she was better prepared than many of her peers for the demands of school. She had learned how to study effectively, research and cite sources, and write papers of considerable length. She took honors classes in college and even was able to earn additional credits so she could double minor in Child Psychology and Child Advocacy, all while being on the Dean’s List each semester. Spiritually, Kristie did not waver in her faith like many of her peers did. She found that she was able to stand in her convictions and was able to engage with her classmates who were struggling. It helped that she established a personal habit of Bible reading and prayer, and she was able to reach out for advice from some CCS teachers and friends. That really helped her! In the years following graduation from ENC, Kristie has had a lot of excitement! She married her high school sweetheart, Josh. She also substituted in the Quincy, MA, public schools, taught second grade in Weymouth, MA, and nannied in Scotland while her husband was studying abroad. Kristie is now working with autistic students in the Newtown (MA) Public Schools. We delight to hear how God has used CCS in the lives of our alumni! Thank you, Kristie, for letting your light shine! If you are a graduate of CCS and would like to be interviewed in an upcoming publication, please contact Dawn Snellenberger at dsnellenberger@contactccs.org. Dawn Snellenberger interviewed Class of 2015 alumnus Daniel Snyder. 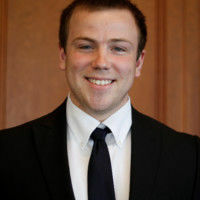 Dan is preparing to graduate from the University of Connecticut (UConn) in May 2019 with a bachelor's degree in Actuarial Sciences. Dan was homeschooled through the 4th grade, although he also had some involvement in The King’s School (TKS) through his family’s participation there. When TKS had to close its doors at the conclusion of that school year in 2007, his family joined Cornerstone, and Dan began the 5th grade in Mrs. Donna Corbeil’s class. Before starting school in September 2007, Dan was a little worried about being a new student and meeting new people. Those fears were further realized when he unfortunately missed his first day of school due to illness! Once he was finally able to start, he found that everyone was so welcoming to him. One of the students took the time to introduce him around, and in no time he felt like he was a part of the class. Dan liked his time in the elementary school and felt it was a positive experience. He enjoyed the close bonds he formed with everyone, including his self-contained classroom teachers. From there, he moved over to the middle school and began his 7th grade year. (Grade 6 was still housed in the elementary building at that time.) He recalls middle school as his "least favorite time," but how many middle schoolers have their mother as their principal?! Despite the awkward years of middle school, he said he had fun and continued to build relationships with the students in his class. In high school, Dan grew academically, spiritually, and socially. He took a demanding course load, but he feels the rigor of his classes helped him to be “over prepared” for college. He recalls special times, like Spiritual Emphasis Weeks and High School Retreats, as spiritually significant times in his life. He enjoyed spending time in community and worshiping God. In fact, he feels that he would not be in the place he is today with the Lord without having attended school at CCS and experiencing those special times with his classmates. Through it all, he continued to build relationships with the students in the entire high school. Dan has maintained close friendships with many of them, even since graduation. He counts this as the biggest blessing he received from his time at CCS. With the encouragement from his high school math teachers, Dan decided to pursue a degree in Actuarial Sciences. He first attended Manchester Community College for two years as a GAP (Guaranteed Admission Program) student and then transferred to UCONN to complete his bachelor's degree. While the program has been challenging and was an adjustment initially, he has done very well in his classes. He is currently serving as an intern at The Hartford (insurance company) and hopes to obtain a full-time job in the actuarial field after graduation. We are proud of your accomplishments, Dan, and we look forward to what the Lord has in store for your future. If you are a part of our CCS alumni and would be willing to share how God has used CCS in your life, please contact Dawn Snellenberger at dsnellenberger@contactccs.org. Dawn Snellenberger interviewed Class of 2014 alumna Karisa Rowse. Karisa is a recent graduate from Nyack College in Nyack, NY. She graduated with a nursing degree and is currently employed at Yale New Haven Hospital in New Haven, CT.
Karisa began attending Cornerstone in the fall of 2011. Prior to that, she had attended South Windsor’s public schools and had an overall positive experience. However, when she began high school, she started to struggle a bit. Being a quiet, reserved student, she experienced harassment from other students. Additionally, she found that one of her teachers was presenting questionable material in English class, which she found offensive. After speaking to the teacher about her concerns and being disregarded, she discussed the issue with her parents, and they decided that a change was needed. Karisa wanted a fresh start and enrolled in Cornerstone for the beginning of her sophomore year. She was apprehensive about the change at first. It was difficult joining a school where many of the students had known each other for years; however, she was comforted by the fact that she happened to be one of three new students to join the same class that year. She also found it difficult to transition from a school of 1,200 to a class of only 18, but she signed up for the basketball team that year and found it to be a great way to meet people and become part of the CCS community. These years were also a time during which Karisa began to “own her faith.” She drew closer to God during a health crisis with her brother. Her faith became further cemented after taking a senior Bible class called Worldviews, which compared Christianity with other faiths and helped her determine what she truly believed. Armed with the knowledge she gained, she graduated with the Class of 2014 and attended Nyack College in Nyack, New York. Her years at Nyack were challenging, yet they were also years of growth for Karisa. As God often does, He began to strip away some of her comforts so that she would draw closer to Him. It was during these years that her faith grew even stronger. In addition to her spiritual growth, she endured a rigorous nursing program and graduated in May 2018. After passing her nursing boards, she was able to secure a job at Yale New Haven Hospital on a medical floor. She hopes to continue her education and would like to one day work in health care administration. Karisa looks back on her time at Cornerstone and is thankful for the experience. She says, “I don’t know where I would’ve been if I stayed in public school.” We are thankful for the opportunity to teach young people like Karisa, and we are blessed to watch them walk into the call of God on their lives! Dawn Snellenberger interviewed Class of 2014 alumnus Alex Clark. Alex is currently serving as a student teacher at CCS as he finishes his last requirement to graduate from Liberty University to become a secondary level teacher of history. You may have noticed that a familiar face returned to our campus this fall. Alex Clark, from the CCS class of 2014, has been student teaching under the supervision of Mr. Jim Kirch. He is student teaching in our high school history classes this semester while fulfilling the final requirement for his degree in Social Sciences with licensure from Liberty University. Alex is scheduled to finish his degree and graduate in December (2018). Alex began attending Cornerstone as a homeschooler during his sophomore year. During that year, he participated in our Homeschool Partnership Program by joining our English and Chemistry classes. He then enrolled at CCS as a full-time student during his junior and senior years. Initially, Alex was wary of attending "school" because he had always been homeschooled. He was concerned about what it would be like, especially for someone with a more reserved personality. Soon after starting, he was pleasantly surprised to find that his classmates were kind and inclusive, and there was even an emphasis placed on having a personal relationship with God. After graduating from Cornerstone, Alex began attending Liberty University (LU) in Lynchburg, Virginia. He recalls the transition to LU as "shocking" because of the sheer number of students at the school (45,000 undergraduates! ); however, he appreciated still being able to receive an education in which Christ was at the center. He felt well prepared for the rigors of college. In fact, he felt like he was more prepared than many of his classmates, particularly in the areas of writing and history. He entered college with the skill set that was expected of him as a freshman entering college. After changing his major twice, he settled on a degree in Social Sciences, plus a licensure to teach at the high school level. Alex has enjoyed his student teaching experience under the supervision of Mr. Kirch. He thinks it is great being able to gain hands-on knowledge from being in the classroom. He hopes to teach history in either a public or private school, to earn his Masters of Education, and to eventually work at the college level. He also has other exciting plans for his future! He recently became engaged to Abby Maruca, a fellow CCS alumna from the class of 2015. They reconnected over an Alumni Christmas Chapel at CCS a couple of years after they both graduated. I guess God is still using CCS in the lives of our alumni! Are you an alumnus or know someone who would be willing to be interviewed? Please contact Dawn Snellenberger at dsnellenberger@contactccs.org to share your story with her. Dawn Snellenberger interviewed Class of 1996 alumna Joy (Williams) Press. Joy is married to Mr. Keith Press, our high school science teacher, and she currently runs a daycare out of their home so she can also care for their newest family addition. When chatting with families, we hear comments about how special the CCS community is. Few people, however, have had the extended exposure to the school’s community like Joy and Keith Press! Joy (Williams) Press began attending Cornerstone in the ninth grade after previously attending public school. She recalls her days at CCS fondly. She felt it was a safe haven for her, and she appreciated the strong biblical worldview it gave her. She found that her knowledge of the Bible and experience of being with other believers from various churches was a true asset when she went away to college. Cornerstone prepared her to think biblically, and she had a greater appreciation for the larger Body of Christ after going to an interdenominational school where people sometimes differed doctrinally. Keith also attended CCS while he was in Grades 5-9. Even though they both attended CCS during some of the same years, their paths did not cross until after they both began teaching at the school. Keith accepted a teaching job in the McLain building where he taught math and science, and he coached soccer. At the same time, Joy was serving as a middle school teacher and cheerleading coach. While working among the CCS community, they fell in love and eventually married in August 2006. In the next few years, they both had job changes, but the CCS community continued to play a significant role in their lives. Joy moved from a teaching position to becoming the assistant principal, and Keith left CCS to work in the chemistry field, only to return once again to CCS as a teacher. It was while Joy was serving as the assistant principal that God planted the idea of adoption in her mind. One of Joy’s responsibilities was to give tours to prospective parents. She began to meet several families who had already gone through the adoption process. While it seemed like a lofty (and expensive) goal, she and Keith could not get past the undeniable tug of adoption on their hearts. They decided to take the first step in the process by completing a home study. Shortly afterwards, they received a check for $2,000—the exact cost of the home study! They knew God was indeed leading them forward. With a mixture of fear and faith, the Presses decided that Joy needed to step away from her administrative position at CCS and open a home daycare in preparation for when their own baby would come home. For anyone who has ever gone through the adoption process, you know it can be grueling! There were difficult moments while they waited, such as when Keith needed major back surgery in the fall of 2017. But Joy and Keith trusted God for a miracle and relied on their community for help. On August 15, 2018, Joy and Keith were selected to become the parents of a baby girl, who was expected to be born within a week’s time. In quick order, they bought airline tickets, packed, set things in place to bring a baby home, and wired the last of the funds for the adoption. Once again, their community—consisting of people from Cornerstone, their church, family, and friends—rallied to help them. By the time they boarded the plane to pick up their baby, all the funds had been miraculously wired to the adoption agency. Joy and Keith are now the proud parents of Rachael-Lynn Alissa Press, who was born on August 22. They are doing all the things new parents do: adjusting to being a family of three, taking turns sleeping, and standing in awe of the miracle God performed in their midst! In one of Joy’s recent Facebook posts, she said, “THANK YOU for all of your prayers, love, and support on this journey. We are so amazed by the community that we are a part of." Their CCS community rejoices in what God has done on their behalf! Dawn Snellenberger interviewed Class of 2016 alumna Abby Clark. Abby is currently a junior majoring in business at Cairn University, which is a Christian college located near Philadelphia, PA.
Not many college students can say they experienced a summer like Abby Clark did this past summer! 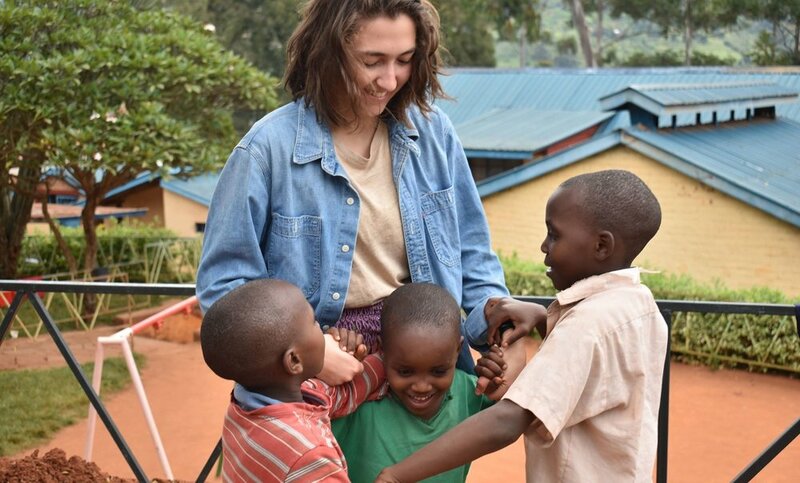 While other students were busy with summer jobs, Abby was busy serving in Kenya, Africa. She had the unique privilege of traveling there and working with three different children’s homes connected to a ministry called Chariots for Hope. Unlike a regular missions trip, this opportunity allowed Abby to provide practical business help to these overseas children's homes, while sharing the love of Christ with the children she encountered. As a business major at Cairn University, this internship combined her love of foreign missions with a chance to use her expanding business knowledge in analyzing profits, losses, and areas for growth of different generating-income projects used at the children’s homes. In this way she was able to put her faith into action and bless the people she encountered there. While Abby reflected fondly on her experience, she admits that when she first learned about the opportunity, she didn’t feel like it made much sense to her. However, after thinking and praying about it, she felt the undeniable tug of God on her heart. For her, this experience was the culmination of a desire God had placed within her back when she attended Urbana Missions Conference during high school. At that time, surrounded by 15,000 other students, Abby found herself praying specifically for oppressed people groups in Kenya. It was then that she felt God calling her to minister to people in Kenya. It wasn’t until she began telling me about her summer experiences that she was reminded of God’s call several years before! As Abby reflected on her time spent at CCS, she recognized it as a wonderful opportunity to grow in her faith. She felt it was a good environment to learn from her teachers as they walked out their lives of faith before her. Now that she is in college, she is challenged to walk out her faith in even greater ways than before. Obeying God by stepping out and serving Him in Kenya is one way she is doing just that. We rejoice in what God is doing in Abby’s life and delight to see how God will continue to use her to make a difference in this world for His Kingdom. Keep up the great work, Abby!